I was attending my morning Bible Study and the guys and I were talking about what we could do to try and help the homeless in our town. In many ways, poverty seems like an insurmountable problem and a complex situation with few easy solutions. And as I teach at a school for students who tend to have lots of problems, it's interesting to me to hear how many of them approach the world from the perspective that they're poor and worse off than others. In our area, the poor have it harder than others, but not really given a more global perspective. Not too long ago, I stumbled across a website called "The Places We Live." 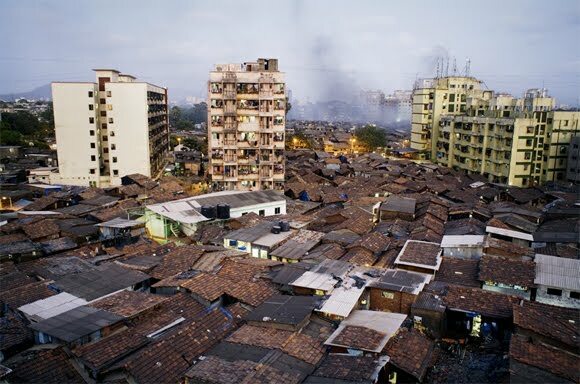 It's a photographic work by Jonas Bendiksen, who took some pretty amazing pictures in the urban slums of Venezuela, Kenya, India, and Indonesia between 2005 and 2007. On the website you can hear and see various stories told by the people that live in the slums. Sometimes I wish more of my students would acquire a more global view of their personal situation. Tell me what you think. I'd love to hear other perspectives. I visited the Mumbai families through your link. One woman says, "If we told someone about our house, who would believe us?" I am struck with their dignity and industry. The pictures are beautiful, but they show heartbreaking circumstances. I cannot imagine what it would be like to live with a lot of people in such small houses. But maybe they are feeling more happy then people in the First World who are always envious of their neighbor and want more more and more. Rob From Amersfoort said what I wanted to say. I've shared the site on my Facebook profile.